Don't fret if you lose a pair of these Rainbow Stud Earrings - you'll still have fourteen more! 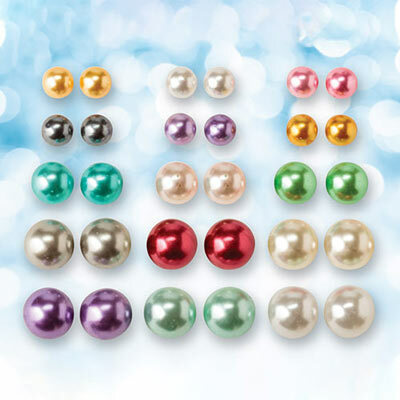 Fifteen colourful pairs of faux pearl studs in fifteen different shades are the perfect way to add a little shimmer to any outfit. Post backs. 3 different sizes. Largest ½" dia. Set of 15 pairs.